Golden Globe®-winner Gina Rodríguez is Jane the Virgin. April Highlights from Nat Geo Mundo! Nexos Latinos is thrilled to show you What’s Hot in the month ahead! Is Disney’s Newest Princess Latina? Jencarlos Canela Latin sweetness always calls for Canela! When you hear the term “wearable technology,” which brand names do you think of? It’s chic to be a geek! The best prevention is home protection! Better Safe Than Sorry: Simple tips for greater security on the Internet. Meet David Chocarro, the star of the telenovela El Rostro de la Venganza. Carlos Bocanegra: The Captain Who Captivates The U.S.! The Nexos Latinos team is committed to keeping our Hispanic heritage strong and vibrant in the United States. Our Nexos Latinos magazine provides information on how the cable industry’s TV, Internet and phone services can strengthen the bonds between our family and friends—here and in our countries of origin—while delivering entertainment, education, communication and FUN! Facebook, Twitter and feedback survey are just some of the ways we can enhance connections to each other. Nexos Latinos is a product of Eclipse Marketing Services, Inc., a certified Woman-Owned Business. 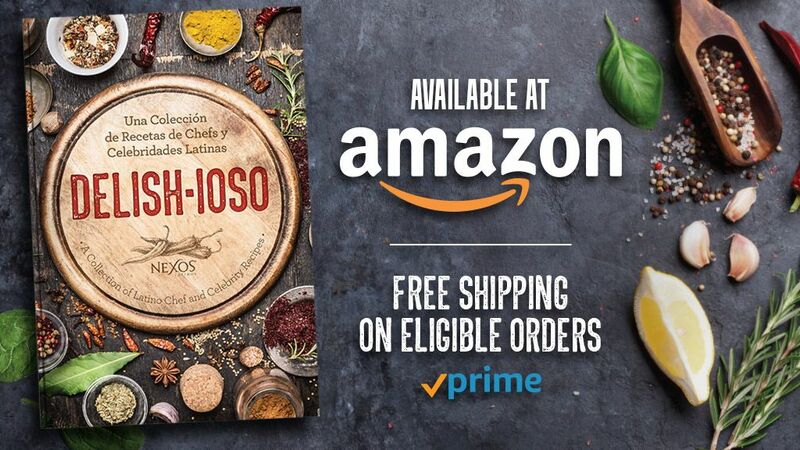 The #Delishioso cookbook is now available on Amazon with FREE shipping on eligible orders! Enjoy over 45 recipes from Latino chefs and celebrities like #LorenaGarcia,#Farruko , #KarlaMartinez, #ChefJames and more! Get yours now for just $35. Celebrate your #HispanicHeritage all month long with recipes from #Delishioso: A Collection of Latino Chef and Celebrity Recipes! 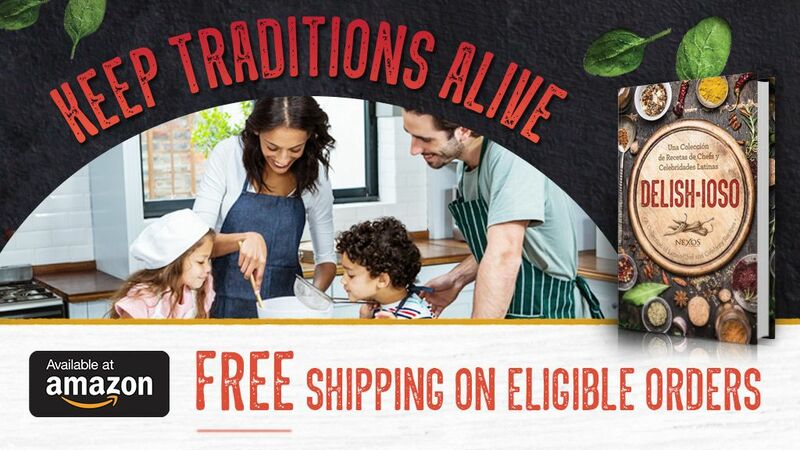 It’s a fun way to keep traditions alive, enjoy family time together, and share celebrity cooking secrets. $35 on Amazon & if eligible, ships free. ©2016 Eclipse Marketing Services, Inc. Nexos Latinos® is a registered trademark of Eclipse Marketing Services, Inc. All rights reserved. Copying or use of the contents of this article or photos in part, or in its entirety, are strictly prohibited.